As the calendar flips from 2016 to 2017 most of us think about the good and the bad of 2016 and perhaps some resolutions for 2016. We are always looking to improve and although I’m not the biggest fan of resolutions, I do appreciate the reflection. With that opportunity I look at the best that 2016 has given me. What did I accomplish? What did I survive? What did I learn? And of most important- How did I grow? Understand how the new year has brought the new version of you. Appreciate the time and yourself. Looking forward to 2017, there is a story that’s about to unfold. We have hopes, dreams, and fears scattered in our minds and hearts. With some thought I feel out what it is that will make this year special, and start to believe. Without belief it remains a resolution and most of those don’t go so well. See the belief is what drives small actions, which then becomes habit and with more consistency those hopes and dreams become a reality. I am capable of making this year special and amazing and so are you. We don’t know the challenges we will face but we should never let it stop us from believing and making great things happen…..and to be honest it doesn’t have anything much to do with January 1st. It has to do with each morning we wake up and believe. Wishing all of you a year of beautiful moments, lots of love, and good health. 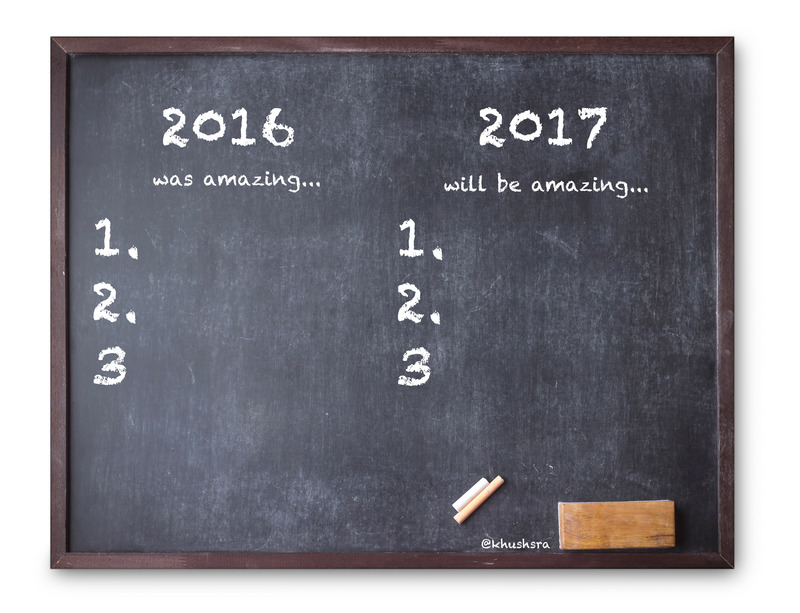 What made 2016 an awesome year for you? What do you believe will make 2017 awesome? What is a detox and why should I do it?